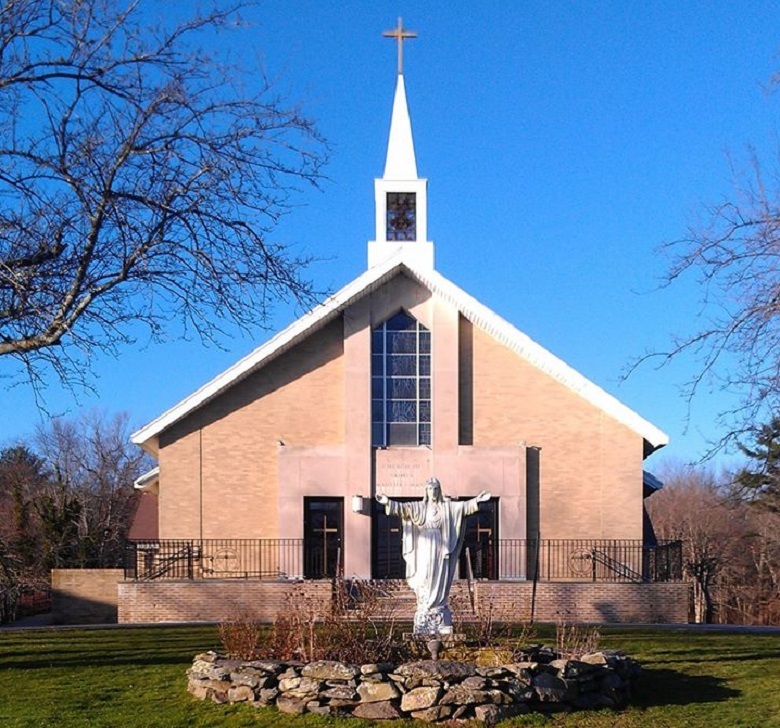 Celebrate Divine Mercy Sunday with us at Sts. Martha & Mary Parish, 354 Bedford St. in Lakeville, MA. 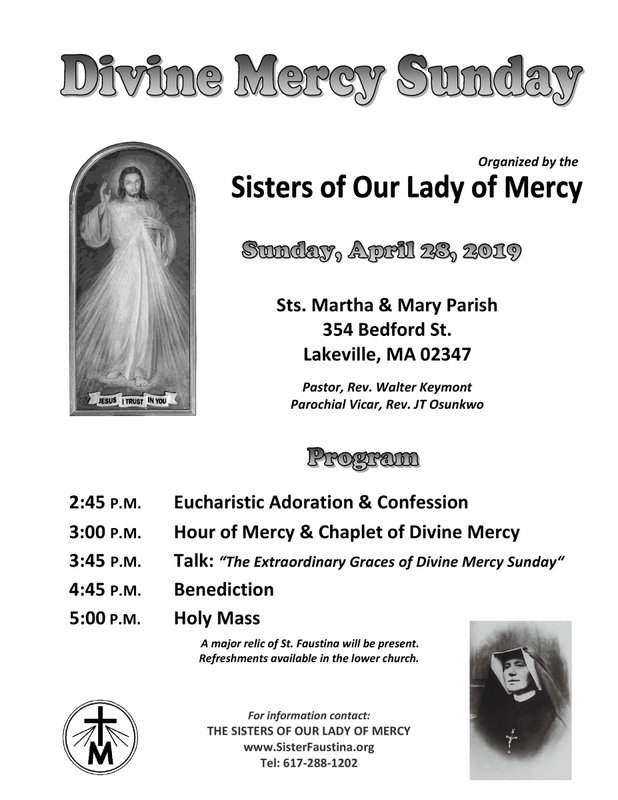 3:45 pm Talk: "The Extraordinary Graces of Divine Mercy Sunday"
A major relic of Saint Faustina will be present during the afternoon celebration. Light refreshments will be served in the lower church. The church has ample parking and is handicapped accessible.